Just over 30 days to go until the 2016 [email protected] gathering in San Diego on June 5th! Come join the largest gathering of Turbo and Classic Buick's this side of the Mississippi. Once again there will be fun for all ages, including the return of the Jump House, coloring contest, and other kid friendly activities. Mike and I have been beating the bushes(and vendors…) to boost the raffle loot inventory and make good on our commitment to grow this event more each year. 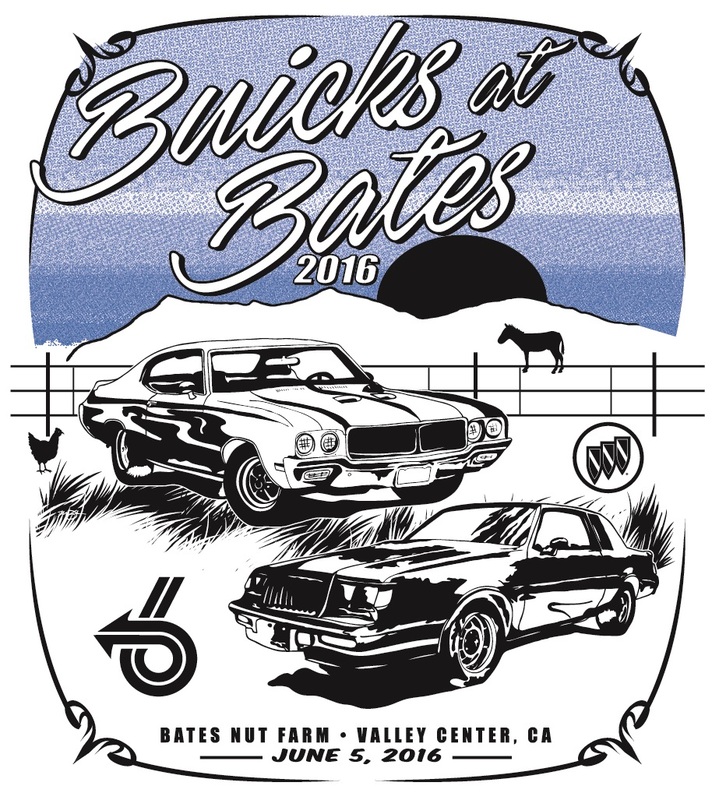 As always, every attendee driving a Buick powered vehicle will receive free event T-shirt. Shirts will be handed out at the entry point to drivers and to other attendees after lunch if stock permits. The vendor commitments are shaping up to be just as epic as last year’s with some new onsite vendors making their mark on our community with new products as well. Stay tuned for more info as we close in on yet another South Western Buick event. Check out [email protected] and http://facebook.com/buicksatbates for additional information including directions, hotel information, and venue rules & amenities. Drive safe and we'll see everyone there!